Ready Decks is not only on the cutting edge of modern home improvements; we are helping pave the way. We already have more than 15,000 very satisfied customers. This is an exciting yet relaxed business that keeps you on the move. Our team is always available to assist you from a simple, 30-second phone call question to major decision discussions that involve face to face meetings. Ready Decks has developed a distinctive, innovative approach to one of the largest segments of the vast home improvement market — home decking. The patent-pending tools, equipment, and construction process invented by Ready Decks enable our local deck builders to complete most projects in a single day, where other traditional contractors and builders may take two, three, or even four days. 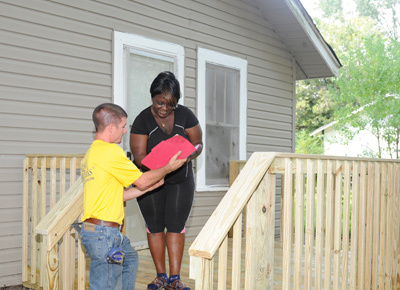 Whether you’re looking for a deck installer to put in a new back deck or porch contractors to really expand your living space, contract the Ready Decks nearest you.